Ready to take a virtual seat at a Live Casino and try your luck while using real cash? Before placing the very first chips on a Roulette, Blackjack, Poker or Baccarat table, make sure to read through our comprehensive Guide to Playing Live Dealer Games for Real Money. Our guide will tell you how to pick a reliable online casino, provide advice on how to fund your account and collect the resulting winnings, explain how casino bonuses work and offer a few tips about the most popular live games available online. The very first thing you’ll want to check before choosing your online gambling partner is the license they operate with. Different regulatory bodies supervise their licensees in a different manner, and some impose far stricter rules and procedures than the others. You’ll want to feel confident that your interests are well protected, and assistance is available in case of any misunderstandings. The UK Gambling Commission and the Malta Gaming Authority are two of the most reputable licensing organizations operating today. The MGA is known for its strict and structured regulations, as well as a Player Support Channel which gamblers can reach out to should they experience any unresolvable issues with an online or a land-based casino. The Alderney Gambling Control Commission is yet another highly regarded licensing body which makes sure players are well looked after. The UKGC features rigorous standards, demands that their licensees have procedures for handling complaints, and conducts occasional reviews to make sure the operator is meeting their license obligations. 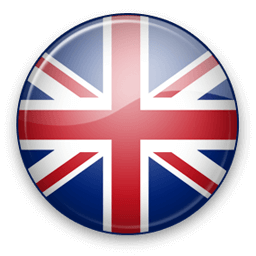 What’s more, as of November 2014, a UKGC license is a must for any operator wishing to offer its services to UK residents. While being a Brit doesn’t stop you from playing at a site licensed by another regulator, doing so makes you vulnerable as you’ll have fewer tools to help you deal with potential misconducts. American players, at the same time, have to make do with a confusing legal environment in which the federal law deems gambling legal, but individual states impose various restrictions. These days, Nevada and Louisiana are the only US states which have made casino-style gambling legal everywhere; others have restricted it to specific areas such as Atlantic City (New Jersey) and American Indian reservations. Then, you’ve got the Unlawful Internet Gambling Enforcement Act of 2006 which makes interstate and international online gambling-related transactions illegal and prohibits operators from accepting deposits from US residents. Players themselves are not directly forbidden to wager online, but still, need to make sure they chose a reputable site licensed in one of the recommended jurisdictions. They can also do their gambling at casinos such as Betfair NJ, explicitly designed with a goal to offer legal online gaming services in the state of New Jersey. In 2014, the Casino signed an agreement with the Golden Nugget Atlantic City and was subsequently able to start operating under their internet gaming license. Betfair NJ is currently regulated by the New Jersey Division of Gaming Enforcement and as of 2018, also offers live dealer games from Ezugi, namely Blackjack, Roulette and Baccarat. Other casinos that operate in the United States market and offer live casino games for real money are MYB Casino, Vietbet and 5Dimes. Once you’ve made sure both your personal information and your money will be safe, check which live dealer games have been made available. 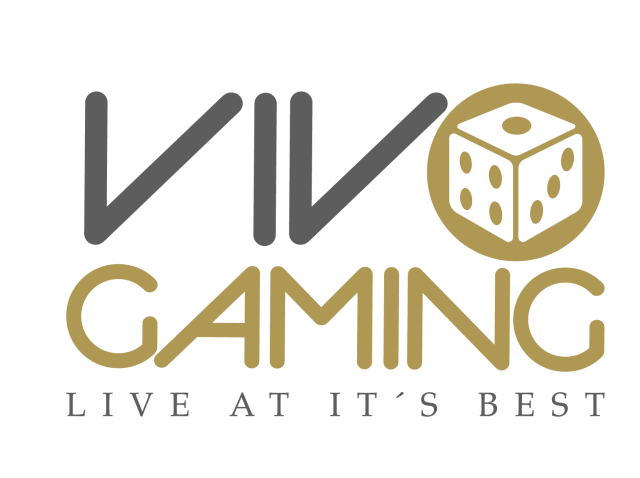 Ideally, you’ll find a wide assortment provided by Evolution Gaming, by far the best live gaming developer out there. Not only do they boast the most diverse portfolio, but their streaming quality is second to none and the game interface as user-friendly as it gets. An additional offering consisting of games provided by other companies, such as Ezugi and Lucky Streak, is the cherry on top. 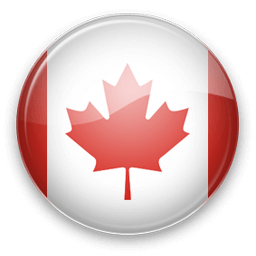 The same goes for native live games hosted by dealers speaking your mother tongue, as well as being offered to choose between tables with low and high limits. The money angle is no less important, so you’ll want to check how deposits and withdrawals are handled. The bigger selection of banking methods, the better. There should be alternatives to paying with a credit card and options offered to those who like using e-wallets such as Skrill and Neteller, pre-paid cards like PaySafeCard, and mobile payment methods such as Boku or Zimpler. Ideally, the ease of funding your casino account will be provided via friendly transaction limits, instant deposits, and short withdrawal processing time of 24 hours or less. Being a high-roller, you don’t want to be penalised by low deposit limits, and having scored sizeable wins, you’ll not want to wait for months before your winnings reach your bank account. If at the same time you’re offered to pay in your currency and thus avoid potential conversion charges, you may have found your ideal partner. Last but not least, make sure to check direct assistance options and availability. The best online casinos offer different ways to contact their support staff, Live Chat included, they employ multilingual agents, and make their people reachable 24/7. You should be able to communicate with a person you can understand and receive immediate help no matter what time day or night, so don’t settle for anything less. Despite the increasing number of alternatives, debit/credit cards remain one of the most frequently used online payment tools. This has a lot to do with the highly advanced and continuously improving security measures implemented by the likes of Visa and MasterCard, their wide acceptance, high transaction limits, and instant funds availability at ATMs found at every corner. Not to mention the fact we all already own at least one credit and/or debit card and use it to pay in physical outlets as well as online on a daily basis. PayPal is probably the most famous e-wallet, an option that enables fast, safe and simple online transactions. In order to use it, you will have to first open an account with the service provider. However, the process is quick and easy, and all following financial transactions can be done simply by using your email address and PayPal password. Not having to share credit card details with the vendor is an additional safety enhancer on top of advanced security measures implemented by the company. PayPal is frequently available for both deposits and withdrawals, and when cashing out, one can transfer money to a credit card or a bank account, or alternatively use PayPal debit card to collect cash via an ATM machine. 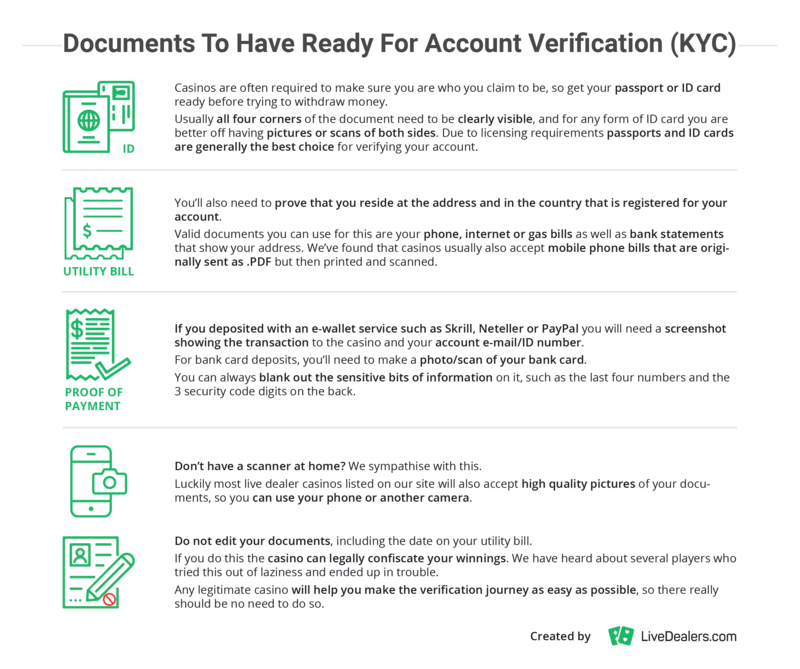 Trustly is basically an instant bank transfer which is available without having to go through any additional registration processes. 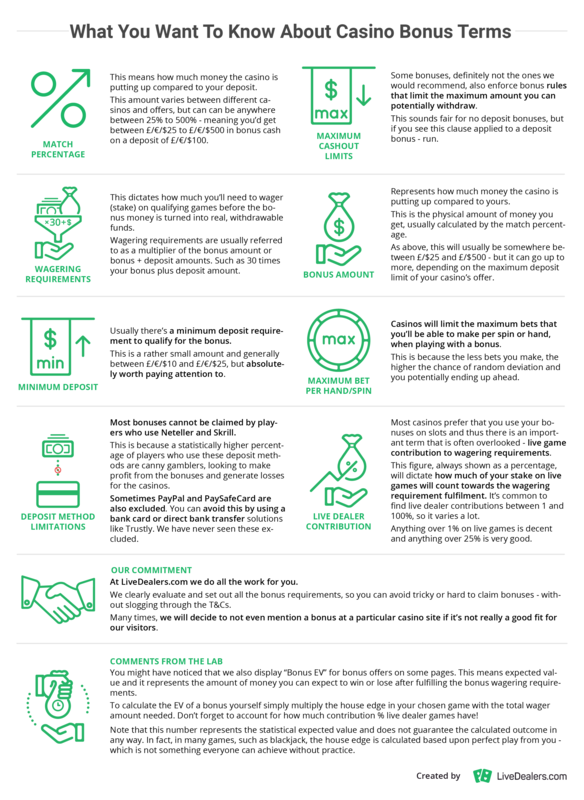 Players can make deposits simply by selecting their bank from the list and following the bank’s standard security procedure. The service is easy to use, money transfers are instant, and the security level high thanks to a license granted by the Swedish Financial Services Authority. Trustly can usually be used for deposits as well as withdrawals so that you won’t have to look for an alternative option when it’s time to cash in your winnings. Skrill and Neteller are two frequently featured E-wallets with multiple benefits. They are normally the fastest way to collect your winnings, easy to use, and very safe. You’ll have to sign up to use the service and then fund your Skrill / Neteller account via credit/debit cards, other e-wallets, prepaid cards, or an online bank transfer. The registration process is the only point at which you’ll need to provide personal information, meaning no sensitive details will ever have to be shared with the casino. Both service providers are implementing advanced anti-fraud measures to make sure each of your transactions is as safe as can be. PaySafeCard is a pre-paid card that can be used even if you’ve got no credit card or a bank account. It can be purchased for cash in a number of outlets, thus ensuring maximum security and complete anonymity. Having bought the card, you’ll be able to make deposits by entering a 16-digit PIN code provided at its purchase. PaySafeCard is available in different denominations and holds a limited amount of money; once the funds have been used up, you’ll need to replace the card by another. This is actually beneficial as it protects you from impulse decisions you might regret later on. The only downside worth mentioning is that PaySafeCard can only be used for making deposits. 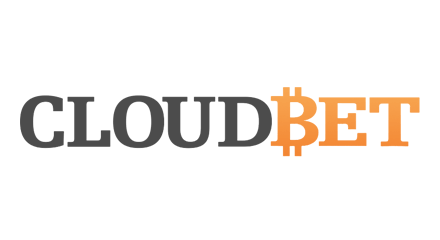 Bitcoin is a well-known digital currency available for purchase via regulated exchanges. You can alternatively buy them at marketplaces from other individuals or at Bitcoin ATMs, paying either in cash, with credit/debit cards, or by wire transfer. One has to start by setting up an online or offline wallet such as Coinbase, Cubits or Kraken, and filling it with crypto currency. A Bitcoin address is then used to fund the casino account. Online players also like this payment option because the lack of intermediaries enables faster transactions and digital currencies are not affected by inflation. Blackjack is a skill-based game with fairly simple rules. The goal is to come as close as possible to 21 and at the same time, score a better hand than your dealer. Go over 21 and you’ll bust. The dealer will have to stand on either soft or hard 17, depending on the variant and the developer. Just to remind you: a soft hand contains an Ace, which can be counted as either 1 or 11 without busting. Having been dealt the initial two cards, you’ll be given the option to stand (you’re happy with what you’ve got), hit (ask for another card to come closer to 21), double down, or split, the latter offered when your hand consists of cards of equal value. Splitting them will create two hands, each of which receives one additional card. One can alternatively choose to double down by wagering twice as much and potentially winning more as the result. The highest payout, however, is only 3:2, paid for a Blackjack consisting of a 10-value card and an Ace. If you’re looking to collect more, you’ll have to make use of optional side bets. The majority of Blackjack variants offer Insurance, which players can purchase to secure their bets in the event that the dealer hits a Blackjack. It’s available when your opponent reveals an Ace, costs half of the initial wager, and pays 2:1 on the side bet. Some games also come with a Surrender option one can use when facing a particularly bad hand. Paying the price of half of your stake will allow you to fold and save 50% of the initial wager. Basic Blackjack strategy advises that you take this offer when holding a hard 15 against the dealer’s 10, or in case you’ve got a hard 16 and your host reveals a 9, 10, or an Ace. So how can one win more than the aforementioned 3:2? Most Blackjack games come with two side bets, namely Perfect Pairs and 21+3. The first wins if you’re holding either suited or unsuited pairs and can win you up to 25:1. The 21+3 side bet is based on your first two cards and the dealer’s up card, paying if their combination happens to form a straight, a flush, a straight flush, or three-of-a-kind. Get lucky and it could deliver a much as 100:1. While luck still plays a big role, applying the basic Blackjack strategy can change the house edge making it between 0.5 to 0.70% depending on the provider you choose. Make use of the available resources (which you’ll find tons of on the internet) and apply strategy to increase the game’s RTP. Baccarat is a game played between two hands, the Player and the Banker. Do note that in this case the Player is not you and the Banker is not your dealer; these are simply two hands one can wager on. The goal is to correctly predict which hand scores closer to 9. Cards 2 through 9 count according to their face value, 10’s and face cards are valued at zero, and Aces count as 1. Having calculated the total, the digit in the tens position is dropped to get the final result. There are three basic bets one can place: the Player, the Banker, and a Tie. The standard variant pays even money on the first two though it charges 5% commission on Banker wins, while a Tie normally delivers 8:1. No Commission Baccarat disposes of the aforementioned commission but in the event the Banker scores a 6, you’ll only get paid 0.5:1. The outcome in Baccarat is not as dependent on the usage of betting strategies as Blackjack, mainly due to the fact it features simpler gameplay and fewer betting options. However, there are game variants equipped with several optional wagers and significantly higher related payouts. Evolution’s Baccarat Control Squeeze, for example, offers Player, Banker, Perfect and Either Pair side bets, as well as Banker and Player Bonus bets. Perfect Pair will pay 25:1 for two identical cards dealt to Banker / Player, and as much as 200:1 for two pairs. Roulette is essentially a game of luck, even though the creators of Martingale’s, Fibonacci, D’Alembert and other “sure-to-win” strategies try to convince you otherwise. It’s all up to a small ball and the slot it ends up picking after moments of completely random, nerve-racking hopping from one area of the wheel to another. While there’s no certain way to predict where it will land, you can influence potential payouts by choosing from a range of available bet types and / or placing multiple wagers. Before you start, though, make sure you know which game variant you’re about to play. European and American Roulette are the two basic ones, the main difference being that the wheel used with the first features numbers 1 to 36 plus a single zero, while the other has an additional double zero slot. What may look like a small deviation actually has a major impact on house edge – 2.70% (European) vs 5.26% (American). European Roulette sometimes uses La Partage rule which softens the blow when the ball lands on zero while you’re betting on Red, Black, Odd or Even. Should this happen, you’ll only lose half of your wager instead of the entire amount. Roulette players can choose to place so-called inside bets and wager on individual numbers or groups of numbers. These include Straight up bet (betting on a single number), Split bet (betting on 2 adjacent ones), Street bet (3 numbers in a row), Corner bet (placing chips in the middle of 4 adjoining numbers), and Line bet (wagering on 6 numbers simultaneously). Outside bets, as the name indicates, are those placed outside of the numbered area. They include Red / Black, Odd / Even, High / Low (1-18 and 19-36), Columns and Dozens. The largest base game payout is obviously delivered by Straight Up bets which win 35:1. Before you get too excited, let us remind you that your chances of guessing the winning number are as low as 2.7%. At the same time, outside bets like Red, Black, Odd and Even pay only 1:1 but the probability of picking the right one is as high as 46.4%. You’re welcome to go either way, just make sure to keep these odds in mind. Poker is a game with a large fan base even before the Internet, but online accessibility has made the number of players skyrocket. It’s therefore not surprising to find it comes in more variants than any other “traditional” casino game. Whichever variant you choose to play, the goal is always to form a higher-ranking poker hand than that of your dealer, with the most important decision being whether to call or to fold. Caribbean Stud is one of the most popular poker games thanks to simple rules and favorable odds. Players receive their five cards face up, while their opponent reveals only one of theirs. The dealer normally qualifies with an Ace-King and the basic strategy is pretty straightforward: always raise if you’re holding a pair or higher, and fold if your hand is weaker than the dealer’s qualifying hand. Live Caribbean Stud developed by Evolution Gaming comes complete with two lucrative side bets. The 5+1 Bonus bet wins when your 5 cards and the dealer’s up card form a three-of-a-kind or better, paying up to 1,000:1. The jackpot side bet offers an opportunity to collect a share of a progressively increasing amount with a Royal Flush, or a fixed jackpot for three-of-a-kind to Straight Flush. In Casino Hold’Em Poker, both you and the dealer will attempt to form winning hands by using your own two cards and five community cards. The only snag is that both of the dealer’s cards are dealt face down, so have you to rely on what’s visible to make your call / fold decisions. Evolution’s Ultimate Texas Hold’em additionally offers a Trips side bet which pays up to 50:1 when the player’s hand reveals a three-of-a-kind or higher. In Three Card Poker, both you and the dealer receive 3 cards only, which in turn impacts hand ranking. The Straight Flush has the highest value, followed by three-of-a-kind, Straight, Flush, one pair, and a high card. This game variant offered by Evolution Gaming features two optional side bets capable of paying far more than a Mini Royal formed by Q-K-A (5:1). Pair Plus can win you up to 100:1, and the 6 Card Bonus delivers as much as 1,000:1. BetConstruct offers Russian Poker, a variant of Oasis with 3 betting positions – a main one in the middle, and two on either side played blind. It’s particularly engaging as players are offered to stake extra cash, exchange any of the 5 cards for hopefully a better one, buy a 6th card, purchase insurance against the dealer failing to qualify, and even buy their qualification. There are two general rules which can be applied in any of the game variants: one, don’t play weak hands which stand a chance of winning only if the dealer fails to qualify, and two, don’t fold low pairs; even a couple of deuces stand good enough chance of winning to justify playing on. Sic Bo and Craps are not the only options available to fans of games played with dice. BetGamesTV offers Live Dice which invites players to guess the outcome of a 5-dice roll and allows wagers to be placed on a number of different combinations. One can bet on one or two pairs, a pair and a triple, a sequence, three, four and five-of-a-kind, specific numbers being rolled or not, and a total sum of all 5 dice. Bet placement has been made easy by attaching a bet slip typically found in all live products provided by BetGamesTV. The same company offers Dice Duel, a game which uses one red and one blue dice and allows players to bet on either of the two winning or the roll resulting in a draw. They can also wager on individual numbers, Odd / Even outcomes, and totals. Hi/Lo is a simple game in which bets are placed on the next card being lower, higher, or same value as the base card. Playtech’s game variant comes with additional betting options and offers players the opportunity to bet on the winning card being an Ace (pays x11.56), King or Ace (pays x5.78), within a certain range (x2.89), Red or Black (x1.92). The goal of Sic Bo is to predict the outcome of a 3-dice roll by betting on specific numbers, combination of numbers, or totals. The game offers a whole range of bets, including a specific pair, any or particular triplet, and the total of 3 dice being a specific number, Small (between 4 and 10) or Big (between 11 and 17). Craps is another popular dice game with the same goal as those mentioned above, though a bit more complex in terms of gameplay. The first roll, also known as the come-out roll, determines the Point number – either 4, 5, 6, 8, 9 or 10. From there on the game continues until either a 7 or the Point is rolled. An assortment of related bets includes Pass Line (7 or 11 being rolled in the first round, or Point rolled before 7), Don’t Pass (2 or 3 rolled in the first round, or 7 rolled before Point), and Come and Don’t Come bets, which are essentially the same as those above except that they are placed after the Point has been established. This exciting game offers a whole range of other wagering options which you can explore once the basics have been mastered. Dragon Tiger is a simpler variant of Baccarat with a single card dealt to each hand. Players can bet on the Dragon or Tiger being higher in value and as the result win 1:1. Evolution’s Dragon Tiger features a Tie bet and Suited Tie bet, the first paying 11:1 for cards equal in rank, and the other delivering 50:1 for cards of equal rank and suit. Live lottery games play with randomly drawn numbered balls and a variety of outcomes to bet on. 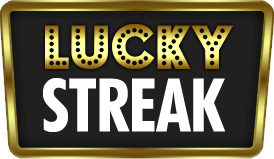 BetGamesTV features the most diverse assortment of lottery-style games and offers Lucky 5 (5 balls drawn out of 36), Lucky 6 (6 balls out of 60), and Lucky 7 (7 balls out of 42), with a new draw taking place every 5 minutes or so. Each provides an extraordinary range of bet types with potential payouts going as high as 2,000:1. One can wager on one or more individual numbers, Odd / Even outcome, totals, colors, etc. Evolution’s Dream Catcher is without a doubt, the most popular live wheel-of-fortune style game. Using TV-style presentation and talkative hosts, it plays with a wheel consisting of 54 segments displaying a number (1, 2, 5, 10, 20 or 40) or a x2 / x7 multiplier. A pointer stopping on a multiplier boosts your next win, and if it does the same several times in a row, multipliers stack. The highest win one can hope to score in this manner is a generous amount of €500,000. BetGamesTV is another provider catering to fans of wheel games. Their wheel features 19 slots, some with numbers from 1 to 18 and the others marked with a special symbol. Betting options include a specific number or a symbol, a range of numbers, Even / Odd outcomes, and the color of the sector (Red, Grey or Black) the pointer stops at. As developers try to accommodate different markets, players are facing an increasing choice of live games hosted by dealers speaking German, Italian, Spanish, and a range of other languages. 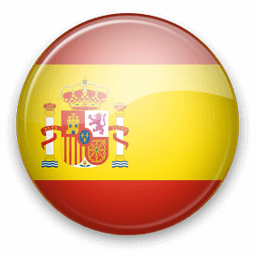 Spanish Roulette fans get to play Ruleta En Vivo by Evolution Gaming at Casino Estrella, Vivo’s Spanish Roulette at Jetbull, and Ezugi’s native variant at Casino Extra. 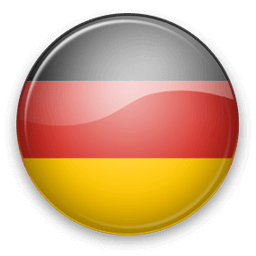 Both Evolution and NetEnt offer Deutsches Roulette, the first available at Mr. Green and the other at Unibet. Russian players get to choose between Evolution’s Ruletka Live (Mr. Green) and Ezugi’s Royal Casino Roulette streaming out of a land-based casino in Riga. Residents of Turkey have 3 options to choose from, one being Evolution’s Turkce Roulette, Live Turkish Roulette powered by Ezugi (Jetbull Casino), and native Roulette game by BetConstruct offered at Vbet. Evolution Gaming additionally caters to Scandinavian markets with Norsk, Dansk and Svensk Roulette available at Leo Vegas, and Norwegian players are also offered NetEnt’s game hosted by native dealers. Italians can bet on Evolution’s Venezia Roulette playing at 888 Casino or Extreme’s Live Italian Roulette available at Mr. Green. BetConstruct, in turn, provides native Armenian, Ukrainian and Persian game variants. Blackjack fans are increasingly enjoying the same benefit. 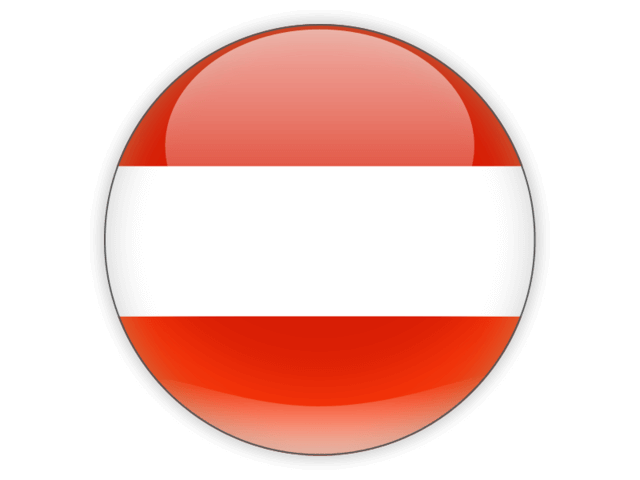 Evolution Gaming has already provided Live Deutsches Blackjack (Mr. Green), a game hosted by Swedish-speaking dealers (Unibet) and Danish Blackjack (Leo Vegas), with many more likely to come. At the same time, Ezugi offers Spanish and Turkish Blackjack, while BetConstruct caters to Turkish, Russian, Armenian, Persian and Arabic-speaking players. A limited number of online casinos also offer dedicated or private tables, with games powered by one of the leading developers and branded with the operator’s colors and logos. BGO Roulette and BGO Blackjack have been made available courtesy of Playtech. Evolution-powered Vegas Speed Roulette, Mayfair and Macau Roulette play at William Hill, along with Downtown and Mayfair VIP Blackjack. Royal Panda features an exclusive Roulette game developed by Evolution Gaming, and the same provider has equipped Leo Vegas with their Exclusive Live Roulette, Silent Blackjack, and Celebrity Blackjack Party. Once upon a time, the only way to play a casino game was to pay a visit to a land-based gambling venue, purchase physical chips, and face a limited number of tables to take a seat (if available). It was hard to imagine we would eventually be able to enjoy the same kind of experience from the comfort of our own homes, and yet the internet has made it possible to play any time day or night without having to travel anywhere. The next breakthrough has allowed us to carry the casino in our pockets and place bets no matter where we are by using smartphones or tablets. Developing games in HTML 5 has made them accessible via mobile devices, though touch screens of much smaller size necessitated certain changes in terms of layout and functionalities. In the beginning, it wasn’t uncommon to experience reoccurring freezing of the video and loss of connection, as well as accidental actions resulting from pushing the wrong button. That’s all pretty much in the past. Developers are continuously upgrading their mobile offering and making their game interface more user-friendly with each new release. Today, online casinos are making mobile games available online via web browsers and /or provide downloadable native apps. BGO, Mr. Green, Leo Vegas, William Hill and Betfair all offer native Live Dealer apps which iOS users can download from iTunes onto their iPhones and iPads, and owners of Android devices get hold of via the operator’s website. Use a browser-based or native app to access the above mentioned gaming sites and you’ll find a generous range of live dealer games provided by Evolution Gaming, Playtech, and several other leading developers. Be sure to try Evolution’s Lightning Roulette and experience dramatic visual and audio effects while lightning strikes 1 to 5 numbers and boosts their payouts to up to 500:1. Play Evolution’s Baccarat Squeeze which builds anticipation by slowly revealing the hand linked to higher total bets, or launch Blackjack White to claim one of 7 seats or use Bet Behind option and exploit high win opportunity provided by Perfect Pairs and 21+3 side bets. To make sure there’s no funny business going on, and at the same time protect your own hard-earned cash, online casinos have a number of security measures in place. Most of them you won’t be able to see, even though they’re working behind the scenes in your favor. One of them, however, you’re bound to notice the first time you request a withdrawal, something called KYC. It stands for “know your customer” and could loosely translate as “casino making sure they’re handing over money to the right person”. Players sometimes feel they’re made to jump hurdles in order to claim their fairly won cash, but we can assure you this is common practice and really in your own best benefit. At a gambling site licensed by the Malta Gaming Authority, additional verification is normally required for payouts exceeding the value of €2,300. As part of the casino’s KYC procedures, you will be asked to provide a copy of your passport, national identity card or driving license, along with a recent utility bill (such as gas, telephone, insurance). You may also be required to supply a copy of the credit card used, screenshot of your e-wallet, or a recent bank statement. No matter how pesky all this sounds, it should take no more than a few minutes to complete. Simply scan the requested documents and attach images to an email addressed to the casino. Once that’s done, they will process your withdrawal and release the payment. Generally, the quickest way to collect one’s winnings is via e-wallets such as Neteller, Skrill and PayPal, or alternatively Bitcoin. To use any of the mentioned e-wallets, you’ll have to open an account with the service provider and fund it via one of the many payment methods offered, while using the cryptocurrency is an option once you’ve acquired and filled a Bitcoin wallet. The following payments can be done without having to share any sensitive personal details, which is what makes these methods not only fast but also highly secure. Processing of the related withdrawals is normally done within 24 hours or less. Most online casinos welcome new players with a bonus offer expressed as a percentage match of their first deposit(s) and capped at a predefined amount the operator is willing to give players for free“. As soon as you land on their website, they’ll try to convince you to join in by inviting you to collect 150% up to €1,000“, double your money up to x“, or claim a similar gift. Sometimes you’ll eventually be able to cash out the bonus along with your winnings, and other times, bonus money will only be made available for playing and can never be withdrawn. Either way, prior to making a cash-out request, players will have to meet the so-called wagering requirements which we’ll discuss a bit later. Occasionally you’ll find a gambling site offering a no-deposit bonus which becomes available as soon as you open an account. It’s a great way to test the casino risk-free, though these offers usually come with a maximum win amount and higher play-through requirements. Along with match bonuses claimable with a certain minimum deposit, online casinos frequently feature cashback offers which could be considered as an insurance against losing. Should you happen to be unlucky and end up a day, a week, or a month having lost more than you’ve won, the casino will refund a portion of your loss. Cashback deals as a rule come with a maximum amount that the casino is willing to refund, so make sure you know what the cap is before gambling away millions. Being offered “free” cash might make a newbie believe bonus money is theirs to dispose of as they please, but more often than not, these treats come with strings most commonly known as wagering or play-through requirements. These basically tell you how much money you need to wager before you’ll be allowed to cash in the resulting winnings and potentially the bonus itself. Strings attached to what is supposed to be a gift might cause frustration, but they are in fact the only tool casinos have available for protecting their bonus system from abuse. Imagine if hundreds of thousands of players opened an account, claimed the bonus offer, and then made an immediate withdrawal. It would cost the casino huge amounts of money and probably put them out of business in no time. So while you’ll struggle to find an operator offering bonuses free of wagering requirements, you’ll be able to choose those with the friendliest terms. Make sure to read fine print, though! Play-through requirements could apply to bonus money alone, or alternatively to the sum of your deposit and the credited bonus amount. Let’s say there are two gambling sites both promoting a 100% up to €1,000 welcome offer, one with 35x wagering requirements and the other with 50x. You’d think the first one was more favorable, right? However, reading on you’ll learn that you’re asked to wager both the deposit and bonus 35 times, meaning that having funded your account with €100, you’ll have to bet 35x (€100 + €100) or €7,000. The other casino applies their requirements on bonus money only, asking you to wager 50x €100 or €5,000 before requesting a withdrawal. It just goes to show how important it is to read promotional T&C and understand what’s expected of you before saying “yes”. So what will happen if a withdrawal is requested before this condition has been met? More likely than not, both your winnings and the bonus will be void. 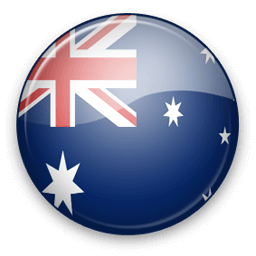 Checking if your wagering requirements have been completed or not can be done in one of two ways – either directly on site after logging in, or alternatively by contacting the casino’s customer support service. One of the important wagering-related restrictions has to do with game contribution. Each and every casino out there rates your bets differently depending on what kind of game you play. Normally, wagers made while spinning the reels of online slots count fully, meaning a €100 bet will contribute 100% to meeting your play-through requirements. But if you play a table game instead, the same €100 amount might contribute only 10% and make you only €10 closer to the target. Some games, frequently including live ones, might not count at all. It’s not done because operators like to make our lives difficult, but due to the nature of the game itself. Roulette, for example, allows one to simultaneously place bets on winning and losing outcomes, such as Red / Black and Odd / Even, meaning you could theoretically keep playing forever (and meet the requirements while at it) without taking a lot of risk. Fortunately, there are gaming sites which will allow you to play live dealer games and have your wagers contribute, at least partially. Leo Vegas, for example, offers Live Casino bonuses with wagering requirements to which playing live dealer games contributes 100%. Those attached to Live Casino welcome bonus at William Hill can be met by placing real money bets on Roulette tables only. At Royal Panda, bets placed on live games contribute 10%, while BGO allows you to claim Live Casino first deposit offer with no wagering requirement on winnings achieved by using the welcome Golden Chips. 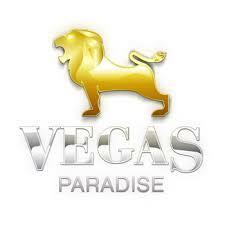 Taking all of the above into consideration, we’re happy to recommend the following online casinos. Please note the market signs that indicate which countries each of these target specifically. Mobile compatible - VIG live dealer games run on any mobile and tablet. Very generous bonuses for table games - sadly RNG only. Leo Vegas has been entertaining the online gaming community since 2012. This self-proclaimed “king of mobile casino” boasts more than a few industry awards and titles such as Mobile Operator of the Year at EGR Nordic Awards 2016, Online Casino Operator of the Year at International Gaming Awards 2017, and Operator of the Year at EGR Nordic Awards 2018. Their impressive gaming catalogue includes over 1,000 products provided by 40+ developers. Leo’s Live Casino offers a wide choice of live dealer games developed by Evolution Gaming, Extreme Live Gaming, Authentic and NetEnt, with close to 60 Live Roulette variants, 25 or so Live Blackjack games, and more than a dozen Live Poker and Baccarat tables. All that comes combined with a generous promotional offering, fast cash-outs, and 24/7 customer support. 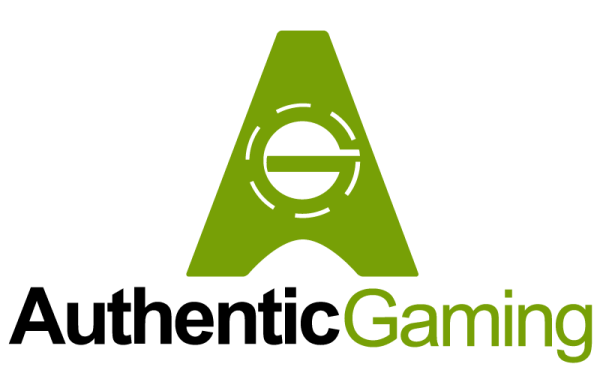 Leo Vegas is licensed by both the UKGC and the Maltese Gaming Authority. Operational since 2008, William Hill has become a well-known name among UK players and one of the leading online gaming and sports betting service providers in Europe. This Playtech-powered casino works with several leading software developers, including Microgaming, NetEnt and Nyx, and offers a comprehensive selection of Live Roulette, Blackjack, Poker and Baccarat games. You’ll find exclusive games such as Mayfair and Macau Roulette provided in cooperation with Evolution Gaming, as well as VIP tables catering to high-rollers. New members are welcomed with a no-deposit free games offer followed by daily bonuses claimable any day of the week. Players additionally get to benefit from fast withdrawals and friendly deposit and cash-out limits, round-the-clock customer support, and peace of mind ensured by the UKGC operating license on top of the one issued by the Gibraltar Gambling Commissioner. BGO is a UK-based operator active since 2012. Enter and you’ll be met by a familiar character, namely Verne Troyer aka Mini-Me made famous by the Austin Powers movie. “The Boss” will welcome you into a secure environment watched over by the Alderney Gambling Control Commission and the UK Gambling Commission. Once in, the online casino offers you the option to choose among 600+ casino games developed by Playtech, NetEnt, Nyx, and several other leading providers. BGO’s Live Casino offers an authentic land-based casino experience at Live Roulette, Blackjack, Baccarat and Casino Hold’em tables. The operator’s promotional library features a range of tempting treats such as the Live Casino 1st deposit offer, the Vault with Boost rewards unlocked as you play, bVIP Loyalty Store, and more. A short withdrawal processing period and high cash-out limits are some of the other benefits players at BGO get to enjoy. Launched in 2014, Royal Panda became another great destination for online players looking for an exceptionally large and diverse offering. Their portfolio consists of more than 700 casino games, among which are 20+ live dealer games supplied by Evolution Gaming. Players are able to claim generous promotional offers with fully transparent terms, choose from a long list of payment options, and reach out to a caring customer service team which can be contacted via Live Chat, phone and email. Licenses issued by the MGA and the UKGC pretty much guarantee you’ll be playing in a safe environment and receive fair treatment. MYB Casino is a US-friendly gambling site launched by the MyBookie.ag group beginning of 2017. Their stylish website offers players access to beautiful Betsoft products and a diverse collection of games provided by Concept Gaming. The Casino is also home to Visionary iGaming live dealer games among which you’ll find Blackjack tables with varying limits, Live European and American Roulette, Live Baccarat, and Live Super 6. Players are provided a generous welcome offer, reload bonuses and monthly cashbacks, Refer-A-Friend bonus, week-end Blackjack reloads and rebates. Professional and friendly support agents can be contacted via Live Chat, email, or a toll-free phone number. MYB Casino is licensed and regulated by the Government and Laws of Curacao.